With this fun and fascinating growing kit, you'll be harvesting your first crop of tasty mushrooms in less than two weeks. 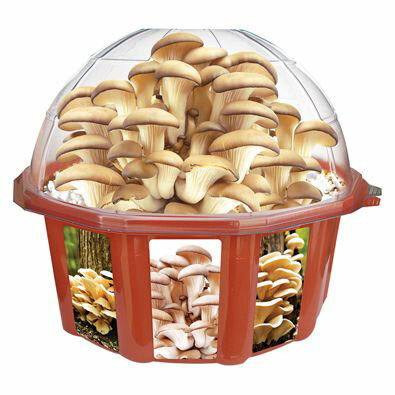 Everything you need to grow multiple crops of fresh edible mushrooms is included along with complete instructions. A great gift for the kitchen connoisseur. Grow your own Mount Fuji right in your very home. All it takes is this kit, some water and about two days. You'll be amazed as the cherry blossoms and other flowers begin to bloom right before your eyes. As if that's not enough, snow will mysteriously appear on the mountaintop. How is this possible, you may wonder? Well that's the secret of the amazing garden. Measures 3-1/2" tall x 9-1/2" wide x 6" deep. Recommended for ages 8+.